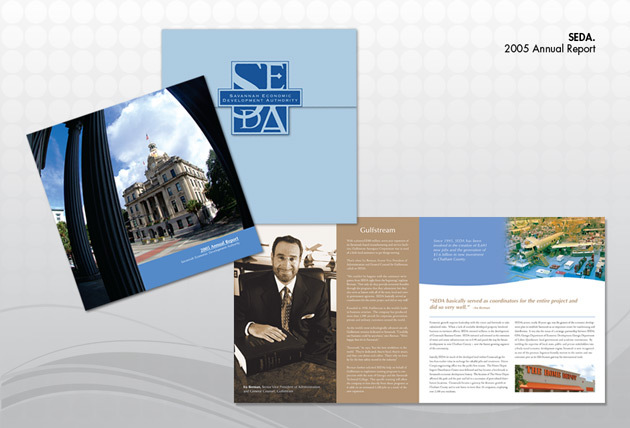 This is the 2005 Annual Report for SEDA (Savannah Economic Development Authority). 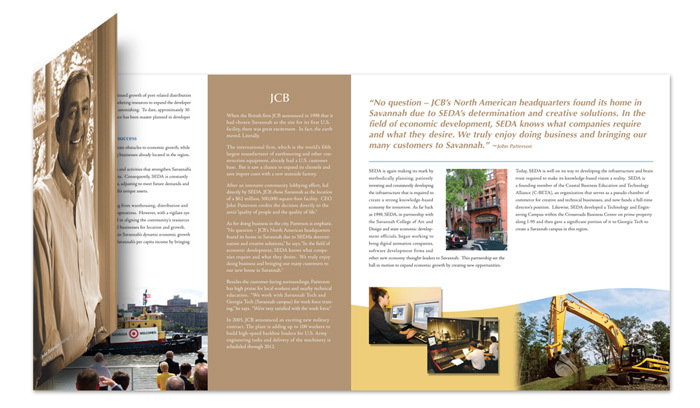 This piece focussed on success stories and new business that SEDA helped draw to the Savannah area. 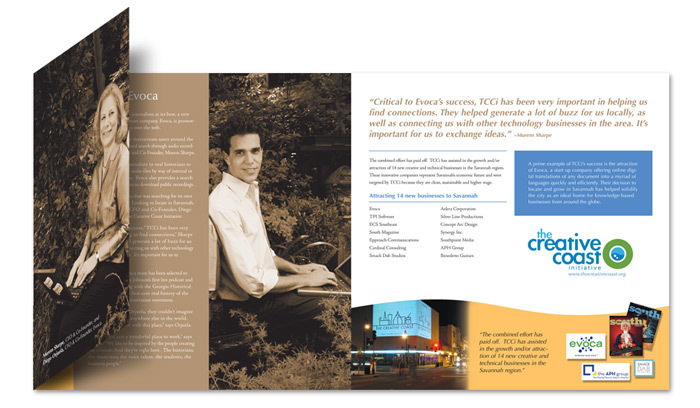 This was a 4 color or full color brochure that had a custom envelope. 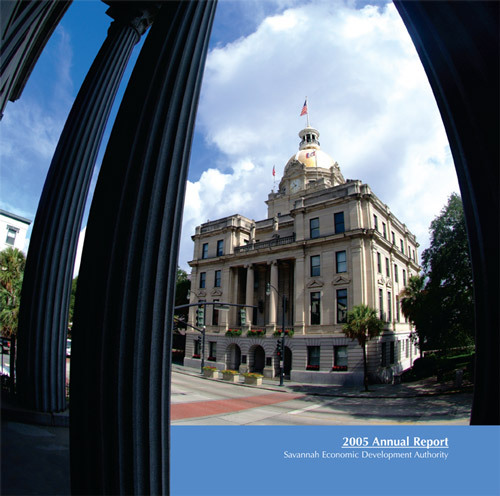 We’re proud to be apart of the growth in Savannah.